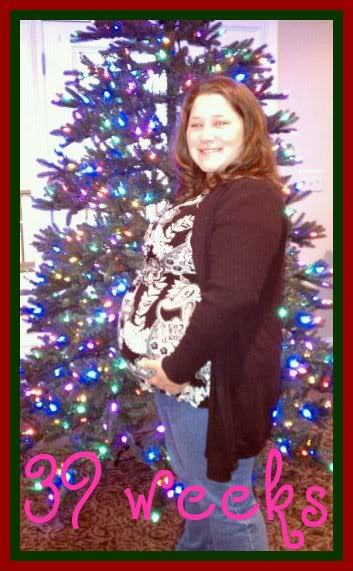 39 weeks today. Not much to update on. My appointment was Tuesday and everything looked good. The doctor said I could start walking! YAY! I'm ready for her to be here but it's nice to know that I've made a good little home for her. Nothing has changed that I know of since last week. My next appointment is on Wednesday, so I'll update more then. :) One week to go until EDD!